Customized baby gifts are some of the most meaningful keepsakes a child can receive. They are the type of presents that will comfort children through their childhood and will become a lasting item to cherish well into adulthood. When you know someone is holding on to something for that long, it's important to choose personalized children's gifts that are special, beautiful, functional and made to last. 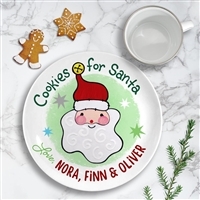 Tiny Keepsakes makes an effort to provide a diverse selection of baby keepsake gifts that represent all of those characteristics into thoughtful gifts like children's piggy banks, personalized step stools, baby blankets, children's custom growth charts, personalized storybooks for children and much more. Our personalized step stools are especially worth the notice because of their unique look, multiple functionalities and expert work of craftsmanship. There's nothing that can compare to our wide range of kids step stools. Our personalized Puzzle Step Stools can serve as helpful educational tools; Storage Step Stools serve an added function of organization; and Two Step Stools can teach your child how to climb stairs. When selecting any of our products, Tiny Keepsakes applies our 10+ years of experience to carefully hand select the highest quality custom baby gifts. The best baby shower presents are baby keepsakes parents and kids can really use and that can make them feel almost like they picked it out themselves. That's why each and every one of our online baby presents are completely customizable, and most of them are handmade and hand painted as well. In addition to this quality commitment, Tiny Keepsakes has always been passionate about customer service throughout our 12 years in business. We want our customers to have a lifetime of happy memories while saving money at the same time. That's why we have a 5% discount for all new customers and a customer loyalty discount program to help with any future purchases. We're enthusiastic about all of our baby keepsakes, so if you have questions we encourage you to contact us at 888-320-3080 and we're happy to help.